October has been the month where things have started to click into place. We are all adapting to our new school routine and Andy and I have the mornings sorted so we are all ready to leave the house when we should. Thankfully we haven’t been late for school yet! 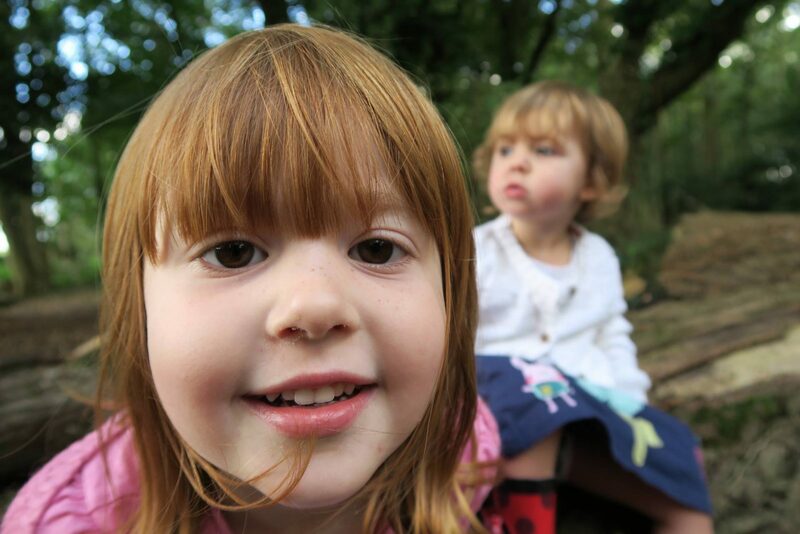 Andy and I were chatting the other evening about how well Alice has settled into school, we’ve had no wobbles at all and I was sure there was going to come a time where she started to question going to school every day, but she hasn’t. She knows she goes to school every day that daddy works and then we have the weekends together. As I sit here typing this I can’t help but feel proud of her. We literally put her into a school where she didn’t know anyone and she has just accepted that and got on with it. I love hearing her tell me about the things she gets up to with her new friends. Of course there is no point asking her what she has done, I wait and slowly little bits of information are given to me. And its been a month where Holly and I have started to find our own little routine each week. 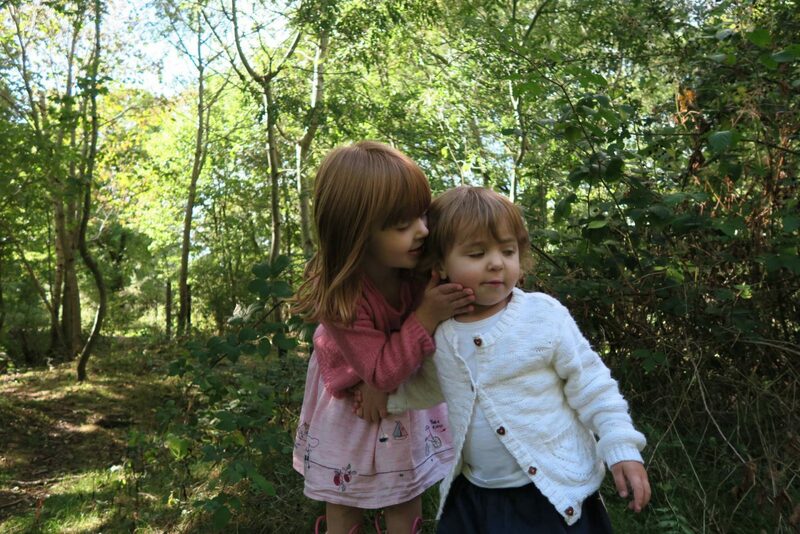 With Alice now in school full time we’ve been able to make more of our days with trips out and to see our friends. She is at a really fun age and yes I have my hands full at times, because she is also nothing like her sister and gets into everything. I am really enjoying this time that we have together. 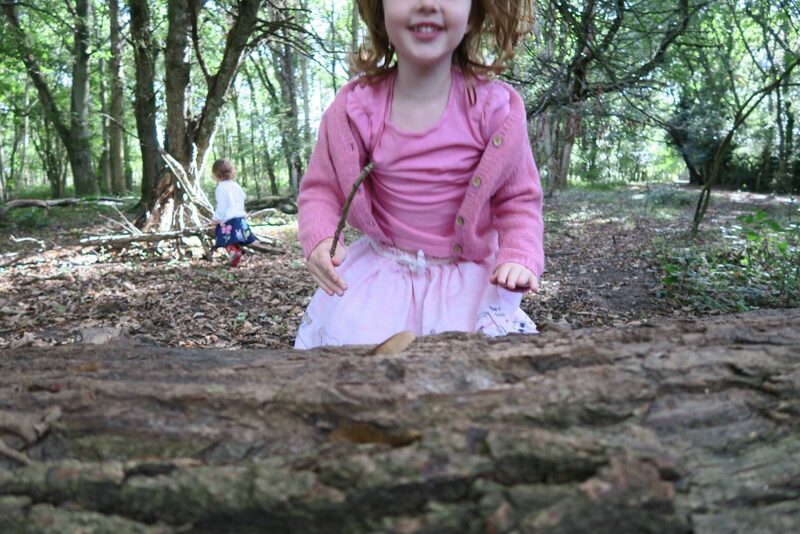 I was worried that it would be more difficult to get these monthly photos each month now Alice is at school. The weeks just flyby and before you know it, its that time again. 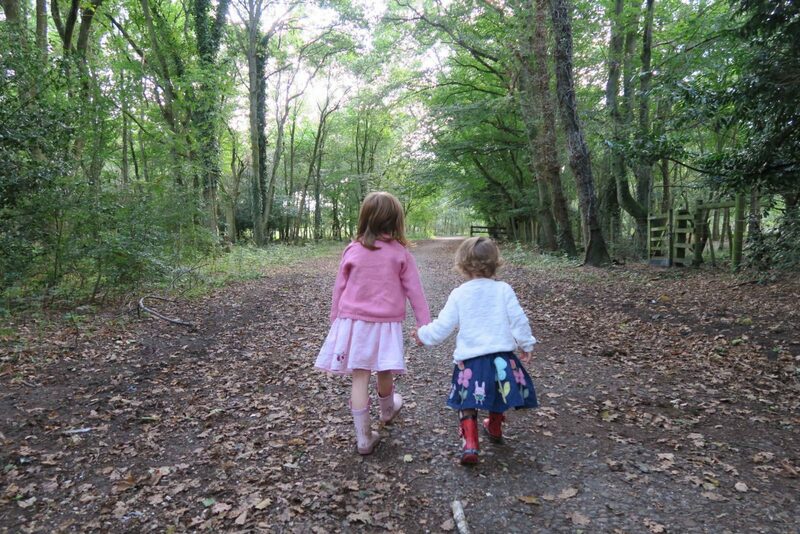 But then a situation presented itself to me and the girls and I took a walk in the woods. Holly was in a particularly mischievous mood, which you can see in her face on all these photos. But, they pretty much sum up my life right now and they also capture the different personalities the girls have. 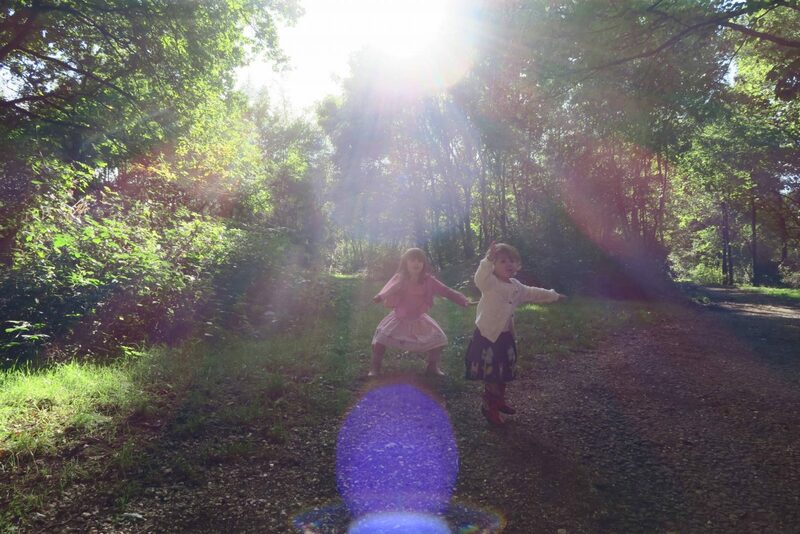 Of course every walk in the woods involves random dancing! The face that Holly pulls every time she sees the camera!! They had started to go a bit crazy at this point!! 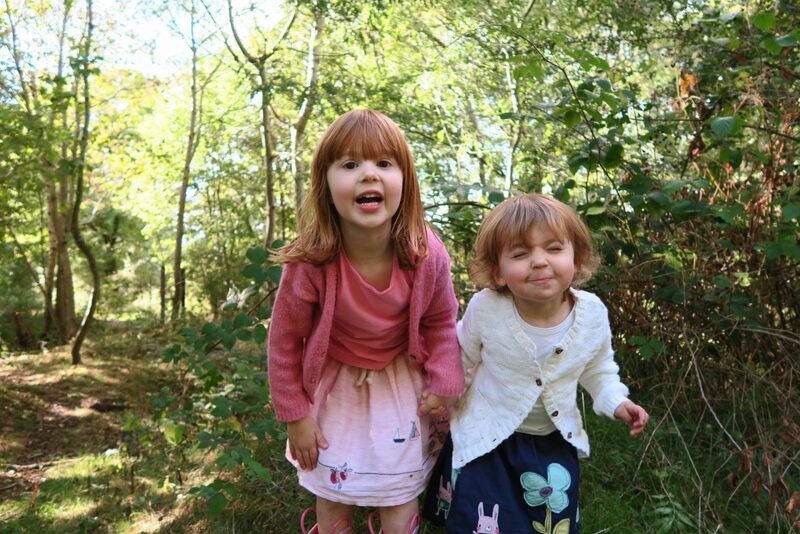 My girls in October, they are chalk and cheese but definitely part of a set and I wouldn’t change them for the world. Oh my word that dancing photo is awesome! I love what Alice is doing with her legs, she’s going to be a little disco superstar! These are gorgeous photos! Looks like they are having the best time. Oh they are just so cute together! 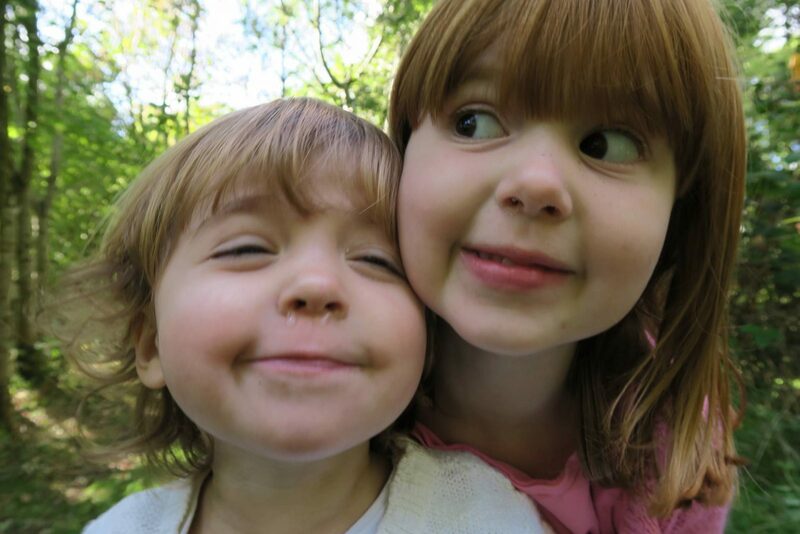 I’m glad that you’re finding your new normal with the school run, it’s funny how soon things get to feel like they’ve always been that way – and then it’s half term! I am so glad she has settled well into school! Your photos are beautiful.